I don't even like Pokémon games. I have been working on this game periodically through out the last 2 years, mostly just spriting, mapping, and making tiles, trying to get a graphical style together. I've also been trying to put the engine together, using available scripts and stuff to tweak the game play mechanics. The goal of this game is to deliver a realistic experience of what it would be like to live in the Pokemon World, in a more realistic setting. I am utilizing the 32x32 tile limitations of RPG Maker XP, and as of right now, using the Generation 6 Project (which will eventually be moved to Essentials V16). Instead of towns have 3 or 4 houses on average, the towns will be expanded to be much larger, and many towns will have unique NPC characters, each with a name, routine, and possible quests. Due to the scope of this project, I am not promising any sort of release. 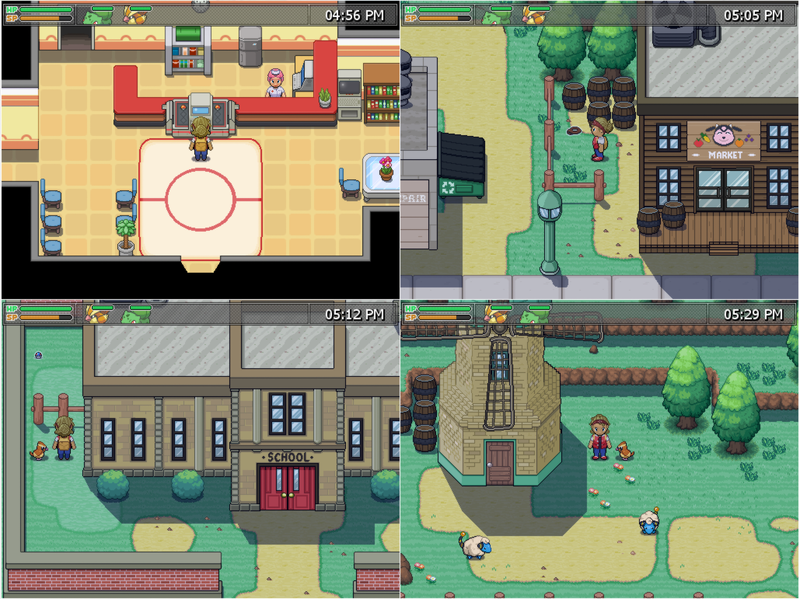 My personal goal is to release a demo of the game that goes up to Pewter City, and with the amount of content I hope and plan to put into each area, a demo up to Pewter would be enough for a small, full game. So please bare with me, I will work towards the biggest release I can, but as long as I make it up to Pewter, I will be happy. Also, when this game does eventually get a release, all of the resources made for the game will be free to use by the public for projects of their own. You start off your journey after just finishing up a 3 month Training program at the school in Viridian City. You have earned your official Trainer License. Part of the final requirements of the program is that on the last day, the class takes a trip to Oak's Lab in Pallet Town. 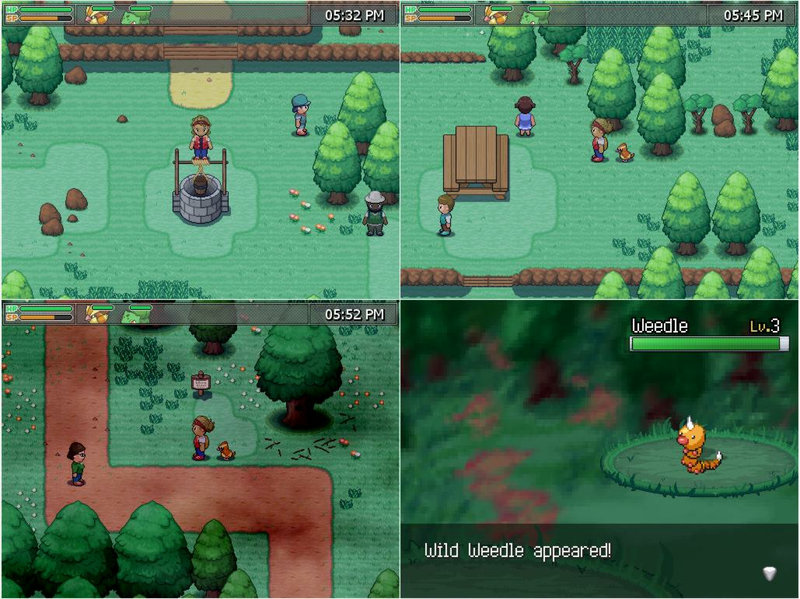 In Oak's Garden, each student is allowed to search for a Pokemon of their own to catch. The Pokemon you catch becomes you first partner Pokemon. From there, the world is yours to explore. You are living in Kanto, 15 years after the events of Heartgold and Soulsilver. 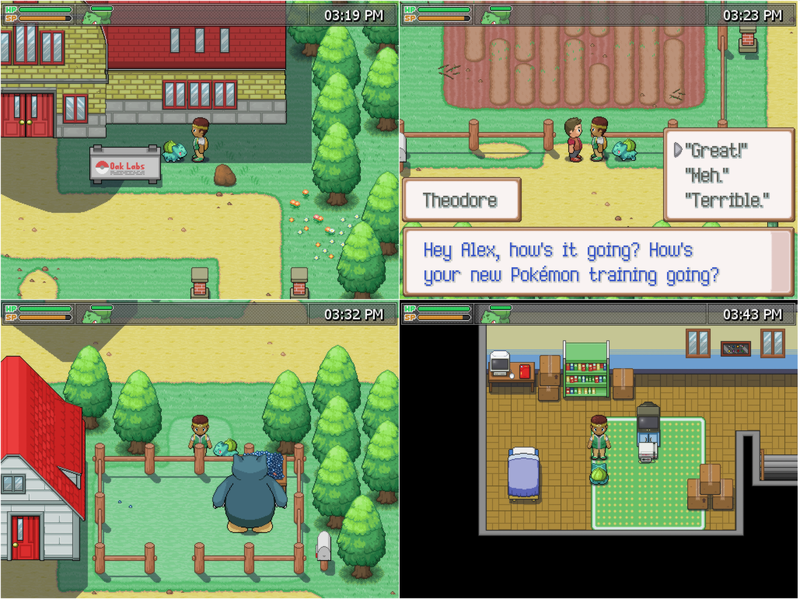 Blue has taken over the lab in Pallet Town for his grandfather. The variety of Pokemon in Kanto has increased over the years, new Gym Leaders have risen, old Gym Leaders have retired. New areas on familiar routes have opened up, new towns have been settled. The Elite Four has been dissolved, and now Kanto runs tournaments periodically through out the year. [Complete]Unreal Time System: When you play for an hour in real life, 24 hours will pass in the game, meaning you get to experience Kanto at all times of the day on your own schedule. [In-Progress] Character Customization: You'll be able to customize your character with a handful of different outfit and headgear combinations. [In-Progress] Health/Stats System: In a realistic world, all that adventuring would take a toll on you. In this game, your character will have health, stamina, strength, intelligence, charisma, and dexterity stats, in order to make it more of an RPG. You'll have to sleep and eat to keep your health and stamina up! [In-Progress] Crafting: Pokemon will drop more items in this game, such as feathers, fur, teeth, scales, materials, etc. You can use these items to craft other items to aid you on your journey. [In-Progress] Cooking: Similar to crafting, you can cook different recipes using food materials in order to make tasty and helpful meals for you and your Pokemon. [Not Started] 12 Move slots: Your Pokémon will be able to remember 12 moves at a time. You can only use 4 moves in battle still, but you can change up your move pools outside of battle. Screens blurred to prevent tile theft. If you would like to join the team, please contact me with examples of past work/experience. No download yet, and no estimate on a release either. We are still working on the game. Justin, this game looks awesome. Typically I'm not a huge fan of open world fan projects, but I feel like you have a reasonable scope, tempered expectations, and the necessary experience to pull this project off well. Whenever you're showing stuff off in the thread, on a stream, or on Discord, I can't help but think "damn dude, I can't wait to play this". I'm really looking forward to that Pewter demo. I feel like that's the perfect length for a game like this to release with, and I'm intrigued to see what you do with it after that demo. Looking forward to the next update! I can't believe I missed this game! It looks co cool! I love the graphics that you've used. The modern tiles make the maps look all the more interesting, which I like. At first, I was not a big fan of the overworld sprite, but now that I look at it, it looks really cool. I love your interfaces and the detail you've put into the game - it looks really good. Just one thing: the PokeCentre looks a bit strange. It's probably just me getting used to the new tiles, but the white square on the floor looks kinda weird. Anyway, I can't wait for your next update! I hope it will be as good as this one. I thought this and Pokemon Obsidian we're both cancelled for some reason either way this is an innovative project, I personally don't like the graphical aspect of the game too much but it's a style I haven't seen done in a Pokemon game so I guess that's good. I hope to play this game one day and that it doesn't become an arduous task to complete this project. I'm not usually the biggest fan of Kanto remake fangames, the idea of it just seems so oversaturated and there are so many of them in so many different styles but you can tell this one really stands out. You're clearly really going the extra mile here. The graphics of this are amazing, each tile being so new and unique while still fitting in the style. The gameplay seems quite innovative in terms of fangames, having proper survival features and crafting seem like a really nice feature that still fits in well with the general idea of Pokémon games, further adding on to the exploring and open-world aspect of it. Overall, I'm really excited for the demo. 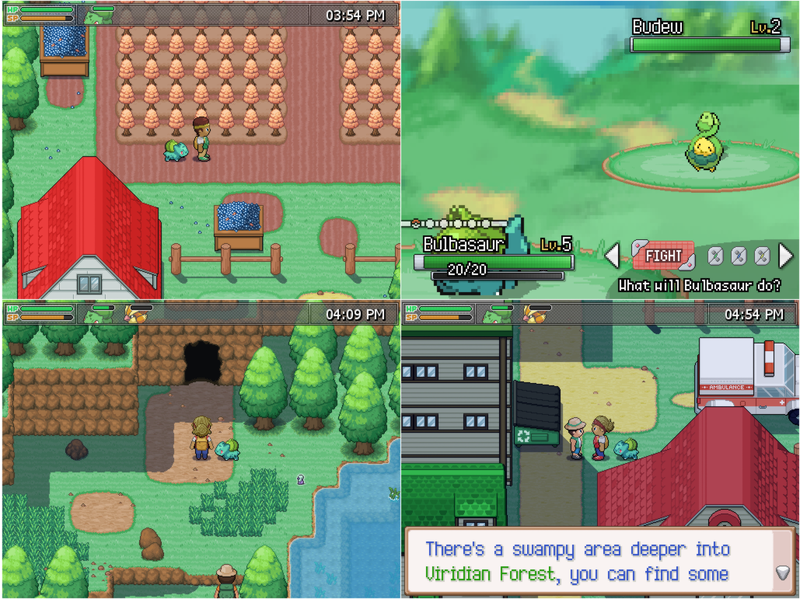 Even though it's just a first gym demo, for a game of this stature then it really gives a great idea and experience of what the game will be like, and considering all the features it really adds a lot more things to do compared to the normal adventure of Pallet->Viridian->Pewter. Nothing else to say except I'm floored. The ideas in it are amazing, the work everyone has put into it is fantastic, and just, the sprite work and all the cool new features you're trying to implement are amazing and would totally change how people play the game. I really hope it pans out! I would love to play this game when the Pewter demo comes out! A very interesting and different take on a classic story. Keep up the good work! U may have to contact him either via his utube channel or maybe a direct message here WITH examples of past experience (this is to decide whether one is capable of assisting or not). My lack of an avatar is scary. Omg! This looks awesome! Good luck! No this project is no longer alive. I realized too far in that a lot of what I wanted to do requires scripting that I do not know how to do, and could not find someone committed enough to work on that end of the game. So this project has been dead for months now, and I apologize for not updating anyone. I am proud of the progress we made on it, and will be releasing a majority of the tile and character graphics on Relic. Thank you for the support in the past with this game everyone, see you in the future! This thread will be locked from here on it, smell ya later.